Mouthwateringly delicious, these muffins are a taste of summer any time of the year. 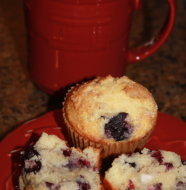 One of my fondest memories is enjoying blueberry muffins with my mother. Mom was quite picky about her blueberry muffins. It wasn’t necessarily the batter, but the blueberries that went into the batter. 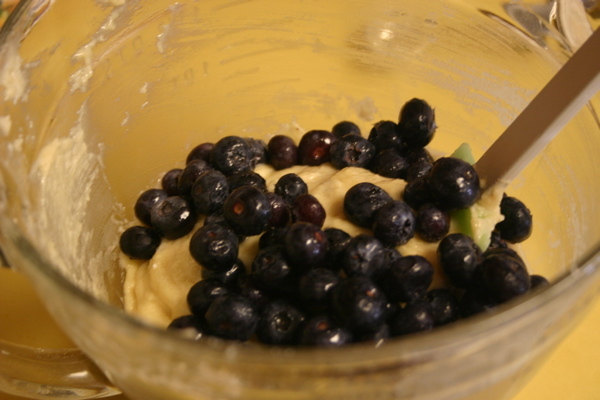 I even remember using the blueberry muffin mixes; however, the can of blueberries that came with the mix would be discarded for the frozen blueberries in the freezer. 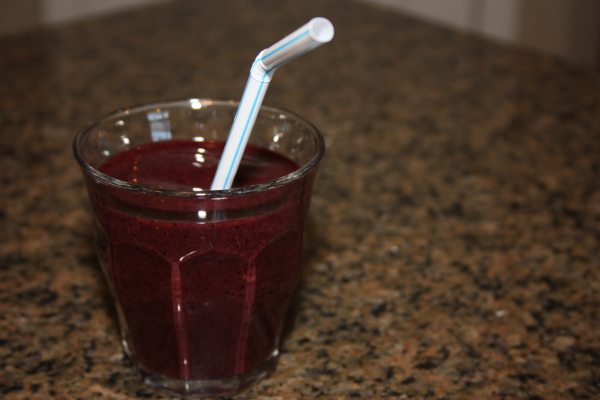 The plump blueberries just make the difference. The past couple of summers the boys and I, along with friends, head to the blueberry patch not far from our home and spend a morning picking blueberries. A great time is had by all. We love the fresh blueberries, and if we are lucky we get to stock up our freezer for the winter. I love being able to go to my freezer to get berries picked at their prime. YUM! This was just want was needed this weekend. I don’t know if it was the snow and frigid temperatures or what it was–I do know that I was really needing a taste of the summer. Mom’s blueberry muffins were the perfect way to meet that need. The batter comes together very quickly which is a plus for a lazy morning. With the muffins fresh out of the oven , the bursting blueberries of summer giving off just the right tartness, then decorated with a pat of butter we were in heaven! Well at least Jeffrey, Tyler, and I were. William prefers his muffins sans blueberries. (I always have two muffins with very few blueberries for William.) Everyone was happy and it was a great way to remember my mother. Everyone loved her blueberry muffins, and it would be a shame not to pass on the wonderful recipe. Preheat oven to 400° F. Grease or line muffin pan with paper liners. In a medium mixing bowl whisk together flour, sugar, baking powder, and salt to combine the ingredients. In a two-cup measuring cup combine the milk, oil, and egg. 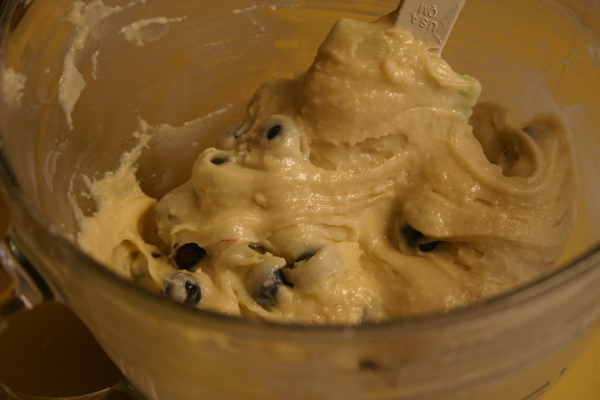 Pour the wet ingredients over the dry and using gently mix together until the batter comes together. Add the blueberries and toss gently together. Divide into the muffin pan and bake for 20-25 minutes. Frozen blueberries thaw quickly (a minute or two in the strainer under running water will do the trick). If you leave them just a bit on the frozen side, they hold up well during the mixing part of the recipe. 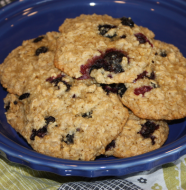 When the wet and the dry ingredients come together, incorporate your blueberries. You are just a few minutes away from muffin heaven. 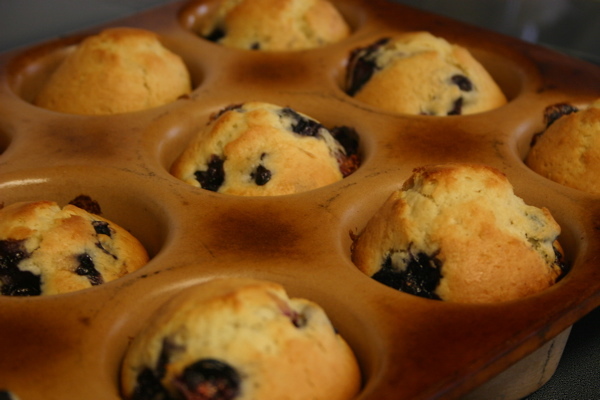 5 Comments on "Mom’s Blueberry Muffins"
Yes I do have the recipe notebook you sent me. Thank you. Glad you enjoy the recipes. I think mom would have enjoyed my blog. Made these last night for the boys breakfast this morning, they are wonderful and so easy to make! Thank you!